What is a setting? How do you decide which setting will work best? 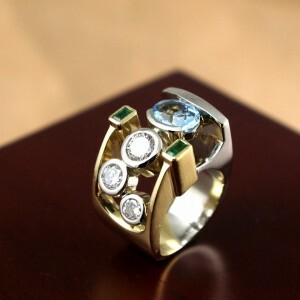 Simply put, the setting is what is holding the stone in place within the piece of jewelry. Lets start with the basic setting - a prong setting. 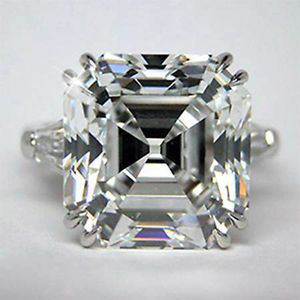 The one pictured above is designed for an Asscher cut stone. As you can see the jeweler gently bent the prongs over the corners of the diamond holding it in place. 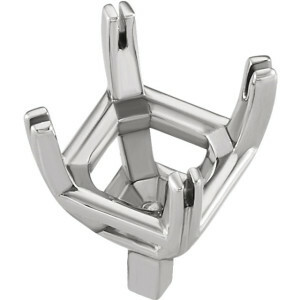 The double prongs on this setting will help to keep the diamond safe. There are other types of prong settings for other stone cuts. The size, shape and cut of the stone may be the deciding factor on how many prongs and the type of prongs needed. Another setting is a bezel setting. This is used frequently with odd shaped stones and softer stones. The stone is set more deeply and protected by more metal. As you can see in this picture there are two types of bezel settings. The aquamarine is set in a half bezel. The diamonds along the one side and the emeralds are all set in full bezels. These types of settings add to the uniqueness and style of the whole piece. Another similar style to the bezel set is channel setting. This is similar in that the jeweler will bend a strip of metal over the stones in a straight row. The stones are held in place by both the metal on either side. It is a secure setting. However, more brittle stones such as opal, or emeralds may break within the setting and fall out. 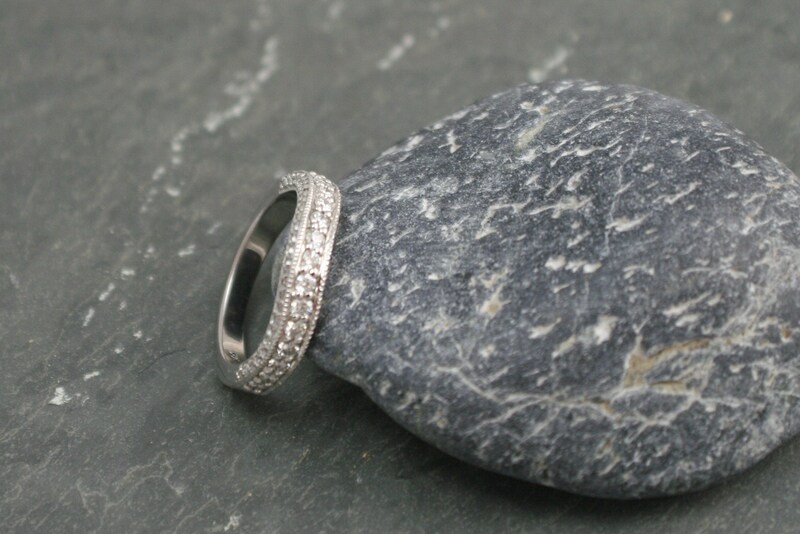 Of course that can happen with any stone if you are extremely rough with your jewelry. Nothing is full proof. The CAD rendering below is a good example of channel set stones. The ring on the bottom is channel set sapphires. The stones will sit in the channel in a single row. The ring above is a great example of burnish set stones. Another term is flush set. This is just as it sounds. 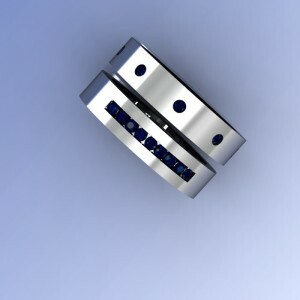 The sapphires will be set into the ring flush with the top. They are securely set in the ring so falling out generally is not an issue. Finally the last two styles of setting stones that deserves a mention is pave and bead setting. Bead setting is used very often in engagement rings and wedding bands. The gemstone is set into the ring and then the jeweler creates a bead with the metal. This metal is placed in such a way it will hold the stone in place. There is a beaded rail on the one side of the stone as you can see in the band below. 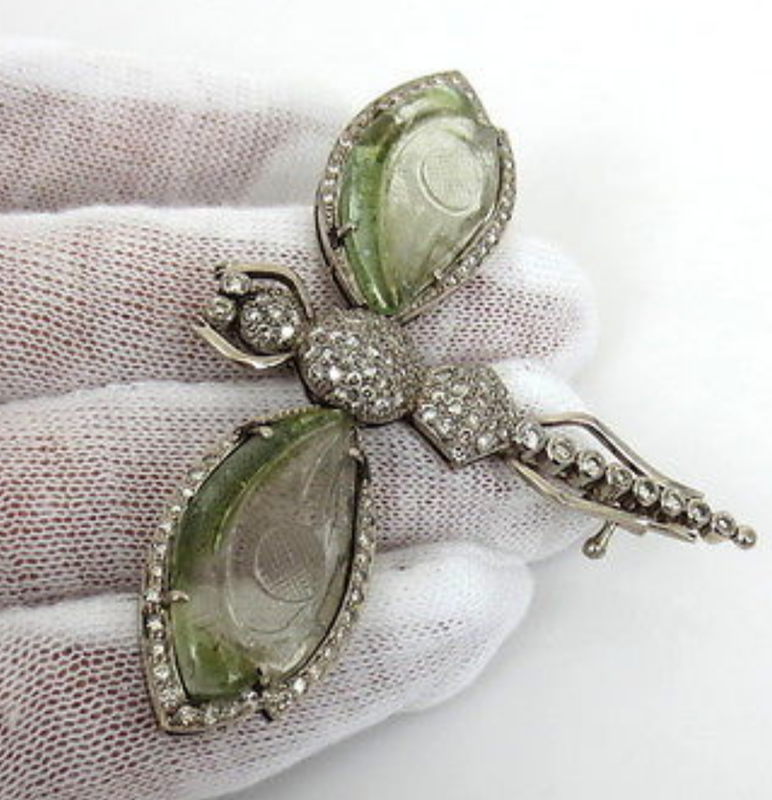 Pave setting was once a common practice in jewelry design. However it is not seen as much today. 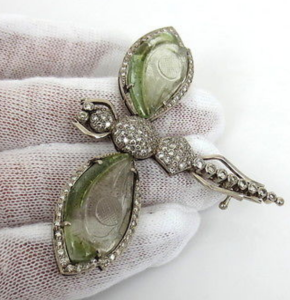 The dragonfly brooch shown below is a very good example of pave setting. The diamonds are generally smaller in size to give it that "blanket" effect. The stones are not symmetrically placed they are laid out so they will fit together with the bead holding it in. Therefore, there is very little metal showing. Every setting will be unique to each piece of jewelry. That is what makes jewelry so much fun. Hopefully now you have a little better understanding of the different options you have.